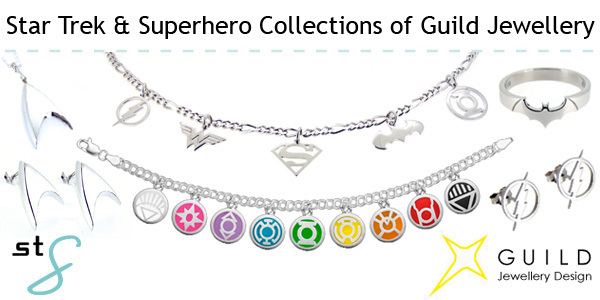 I can’t recall how I ended up coming across Guild Jewellery Design’s DC Comics collection last year, but when I did, I had two emotions – I was ecstatic to see such a sophisticated and gorgeous jewelry line offered in a fine metal. And I was devastated to discover that the company (as so often seems the case with geek chic products I find) was Australian and the jewelry line was only offered there and New Zealand. 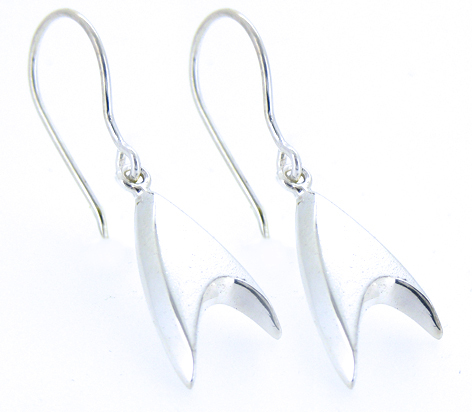 I didn’t investigate thoroughly at the time to see if there were any retailers carrying their jewelry that shipped overseas to the US, but after researching for the Udi Behr jewelry post, I happily discovered that one of Guild Jewellery’s retailers, King’s Comics, carries their products, and ship to the US! 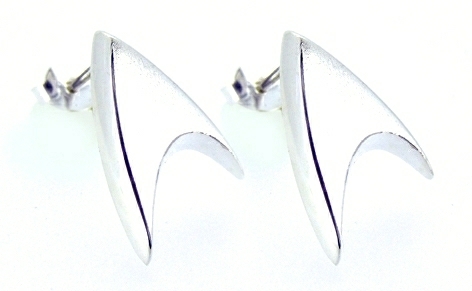 Plus, Guild Jewellery had recently come out with the Star Trek collection back in May. 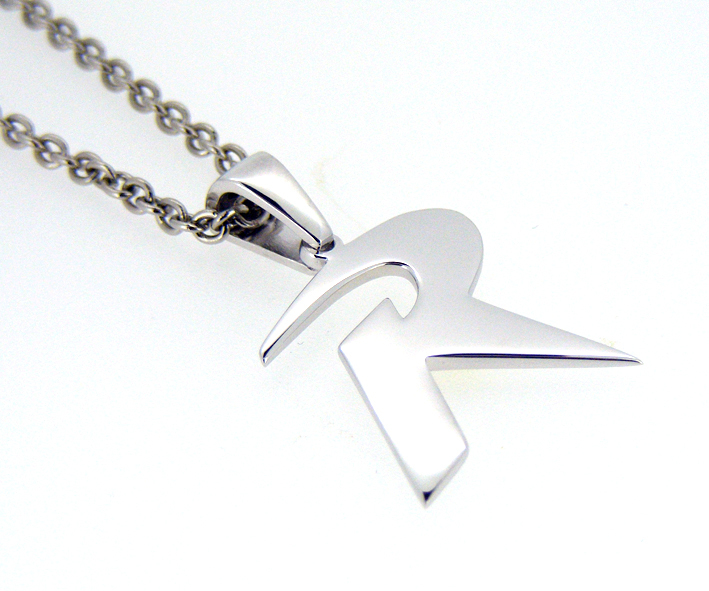 Much like Udi Behr’s Star Trek jewelry, the Guild Jewellery Star Trek pieces are sleekly designed. 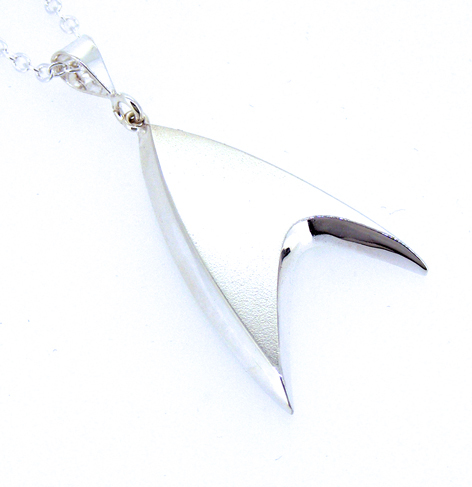 I don’t know about you, but I’m a huge fan of the kind of minimalist look seen in their Star Trek line, focusing on the iconic silhouette of the Starfleet delta, and nothing else. Their DC Comics collection, which has been around since 2011, is fantastic if only because they made the effort to offer something other than the standard Batman, Superman, and Wonder Woman themed pieces you’ll see everywhere. I love the Trio, but it’s nice to see other superheroes represented every now and again. I pretty much squealed when I saw their Robin necklace, let alone their Flash earrings! And while not being that much into Green Lantern, I still got a little weak at the knees checking out the beautiful rings, pendants, and charm bracelet they offer of every Lantern Corps. 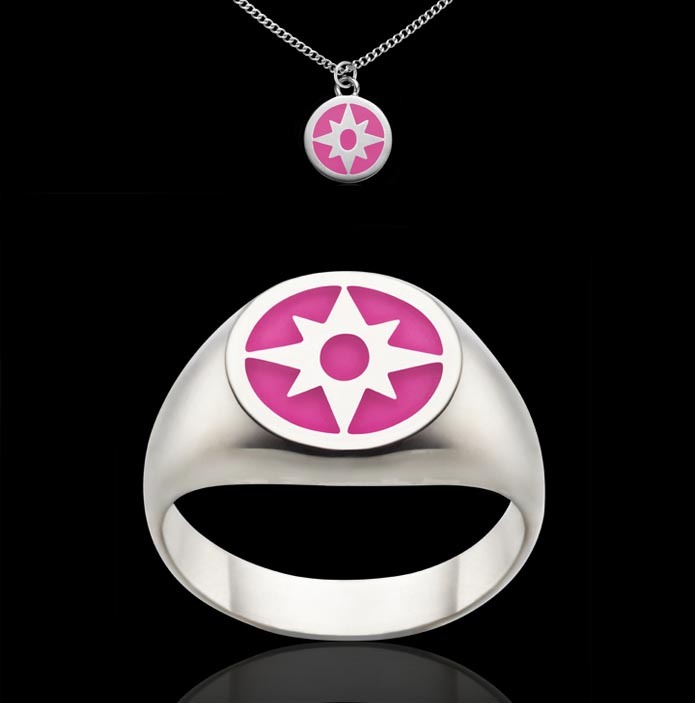 I’m very much looking forward to what new pieces might come from Guild Jewellery next, and what other licenses they might acquire down the line! 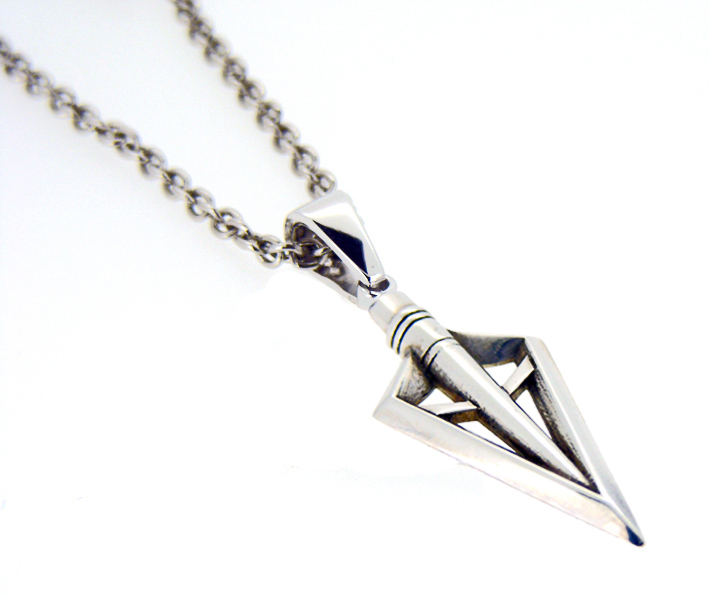 Be sure to follow them on Facebook to keep up to date on new designs and pieces coming out. If you own any jewelry from Guild Jewellery, tell us what you think and share your photos with us on Facebook and Twitter! 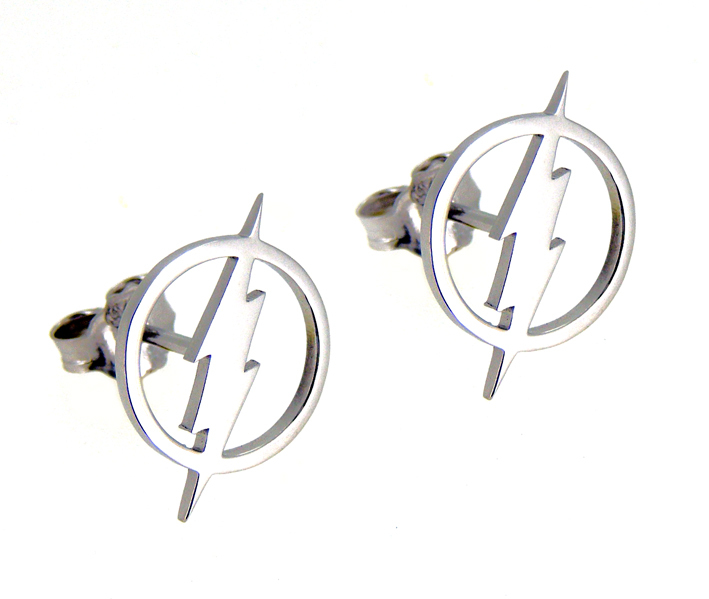 Love Guild Jewelry! I have the Batman ring, and it’s one of my favorite possessions. That’s definitely one of my favs! It’s such a great design. 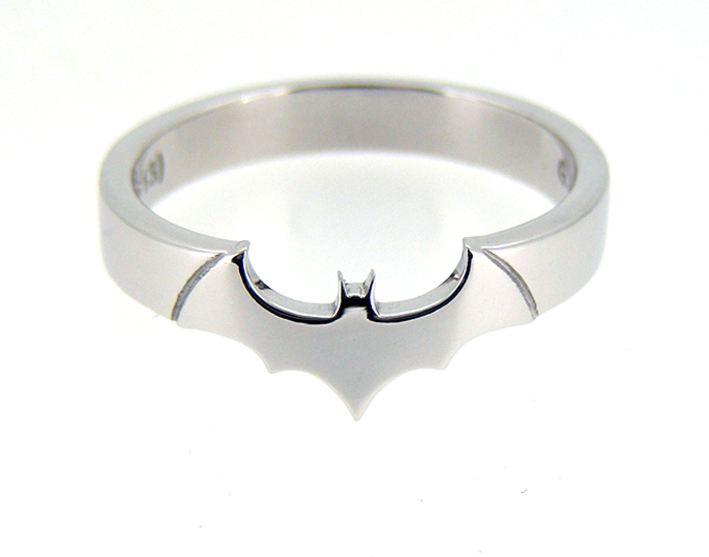 Where did you get the batman ring? My soon to be fiance is a huge batman fanatic and I’m just trying to make the proposal special for her.